The bed head, the snail and me. Earlier this month while out for an evening walk I found a wrought iron bed head by the side of the road and had just carried it a few kilometres and was almost home when I saw a snail on the footpath and pondered the poetry of our similar situations – he carrying his house and me, a piece of furniture. I squatted down, leaned my large, old, iron, bed head on my shoulder – my arms grotty, a old pink cardigan tied around my neck and my too low waisted jeans probably revealing the lace top of my undies – and proceeded to photograph my new found friend when another human being walked by and regarded me with much suspicion. There wasn’t much I could have said to make myself appear less crazy. 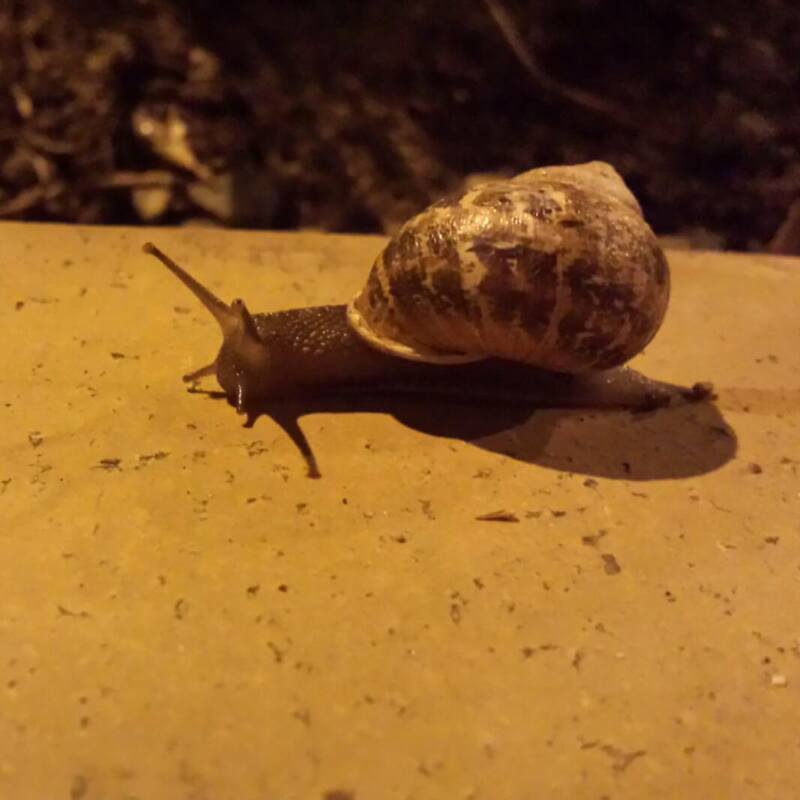 But hey, I had a photograph of a snail and a bed head.